“Welcome to the bubble,” says Brittany Packnett, activist, educator and writer — a proud Black woman who believes that freedom is within our grasp, as long as we unleash love and build our power. “Inside the bubble, all you need is a white board and a dream. 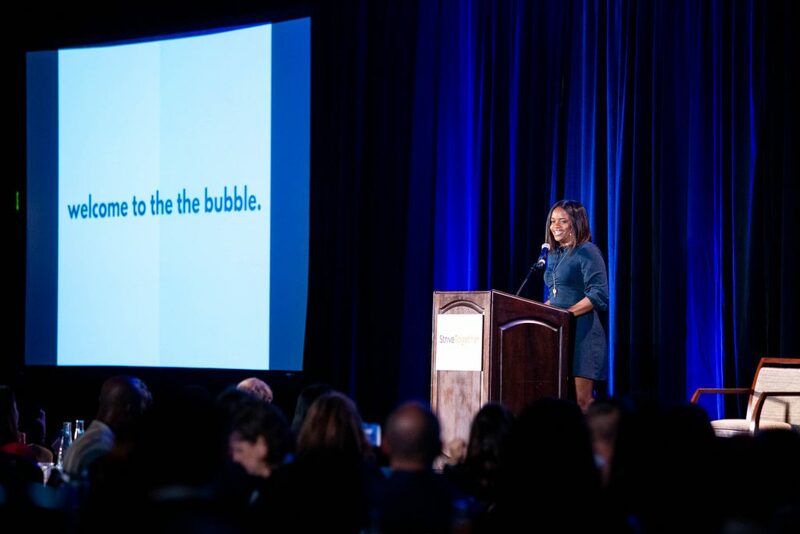 Inside the bubble, all you need is a plan and some passion.” The words echo in power to a room of more than 500 community changers from around the country sitting in attention at her plenary for the 2018 StriveTogether Cradle to Career Network Convening. Hundreds in the room are executive directors, district leaders, presidents and CEOs. Around the room, people nod knowingly about the familiar and comfortable circles where we often find ourselves. Also in the room are educators, community members and youth leaders — mostly people of color. It’s at this moment that you can see smiles sneaking across their faces, their heads nodding in agreement. 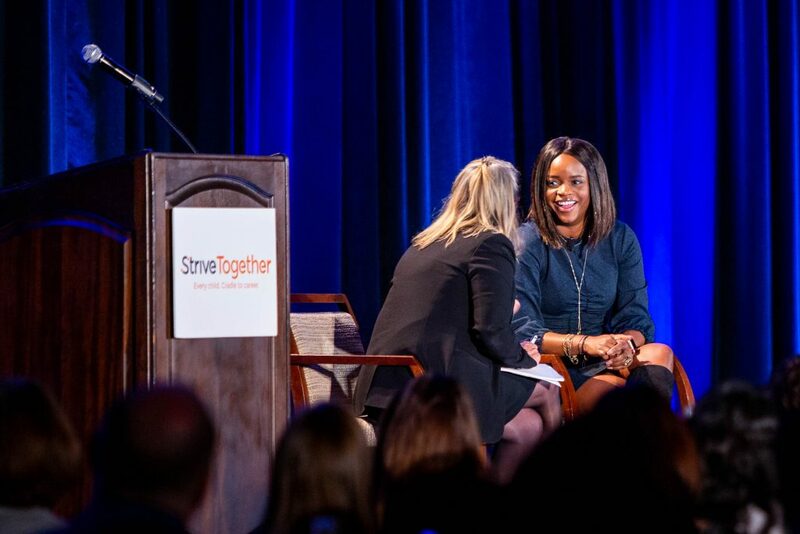 They are not just in the room, but they have been on the stage, sharing their voices and the stories behind the work StriveTogether partnerships are doing. 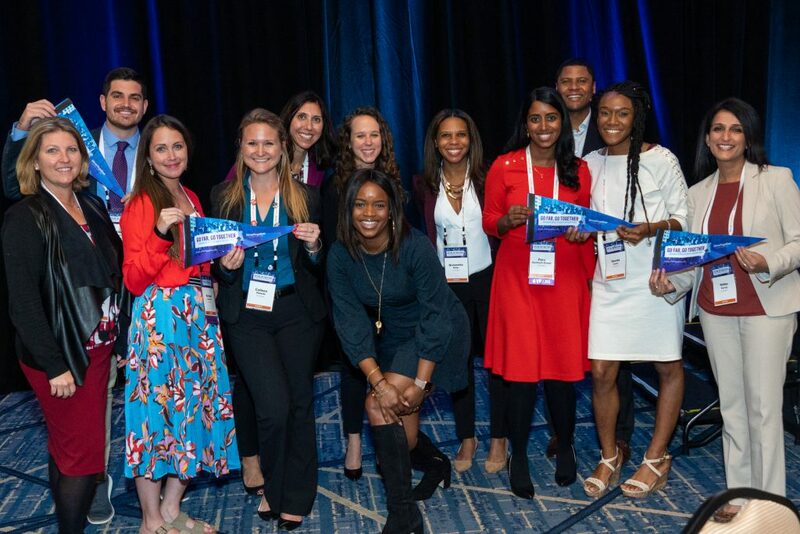 They know the weight of these words — how rare it is that their voices are invited to national convenings among leaders like these — where their personal experience is equally valued alongside academia and professional clout. Now, they are here, and, hopefully, here to stay, because their lives and their stories happen outside the bubble. Brittany’s message is clear: Data only tells part of the story. We have to work harder to tell the whole story — the qualitative and the quantitative. By letting love inform power, our communities can model the transformative change we seek by believing that the vision can be set by children, families and communities. As more of our StriveTogether communities work to make this aspiration a reality, it’s encouraging to hear more and more examples of communities — from Adams County to Racine County, from Bellevue to Bridgeport, and from Seattle to Spartanburg — working more intentionally to involve youth and families, the people closest to the problems they experience, in defining the problem and identifying the most powerful solutions. Knowing that data only tells part of the story, we coach community leaders and practitioners to keep asking themselves “why?”, dig deep to uncover the unseen factors keeping our current structures and systems in place, and take more risks to make equity a non-negotiable. Fundamentally, this national movement to change the narratives and outcomes for kids of color and kids from low-income families is about shifting power. We must take more risks not only to share power, but to shift power and authority to those who are closest to the challenges and thus the solutions. 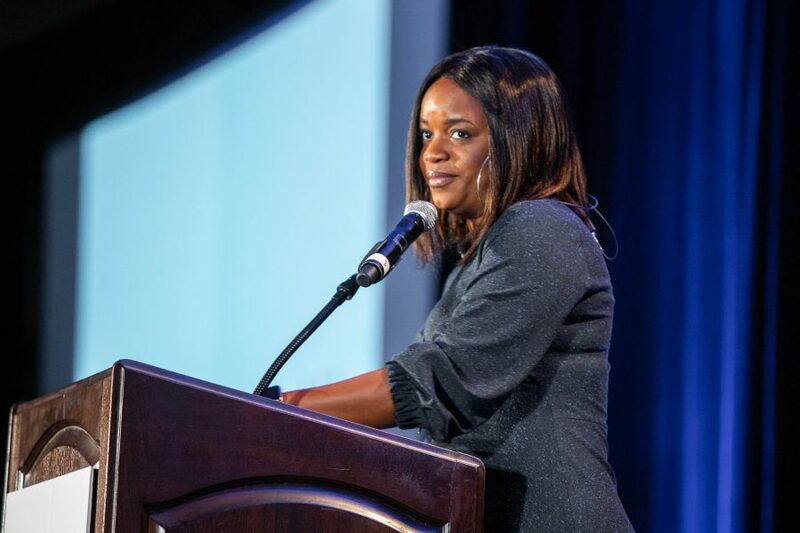 Watch Brittany Packnett’s keynote here. Blog post co-authored by Davida Casey, manager of coaching and programs, and Parvathi Santhosh-Kumar, senior director of impact. 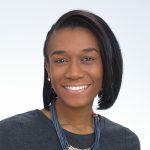 Davida Casey is manager of coaching and programs at StriveTogether, supporting the development and implementation of cohort- and community-based programming.